Many worry about donor fatigue during year-end giving, but Classy platform data shows that donors acquired on Giving Tuesday are 15 times more likely to donate again before the next Giving Tuesday. To that end, you should use every tool at your disposal to ensure that next donation comes before December 31. 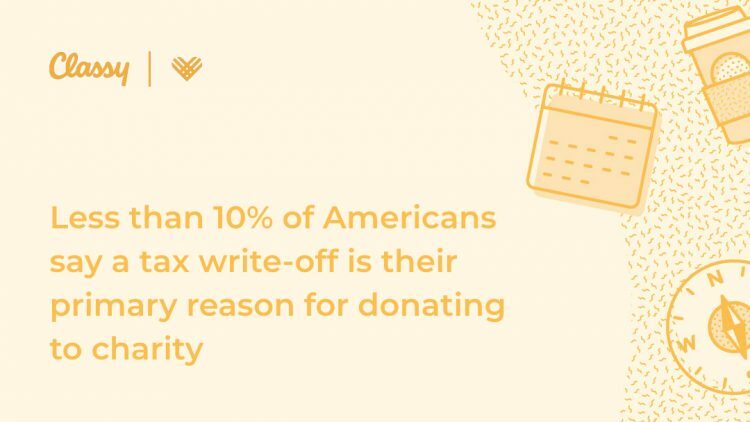 To help, Classy recently commissioned a two-part consumer survey to gain insight into how consumers are planning to donate on Giving Tuesday and year-end. It takes into account things like household income, political affiliation, and age to arm you with actionable knowledge. 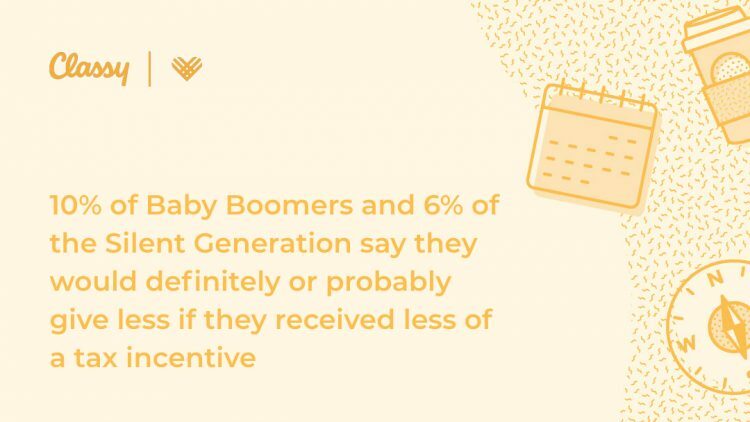 Part one of the survey gathered general insights into consumers’ plans to donate during year-end. It revealed, among other things, that disaster relief was the primary cause on consumers’ minds. Part two of the survey focuses on how current events like natural disasters, midterm elections, and recent tragedies impact consumers plans for charitable giving. 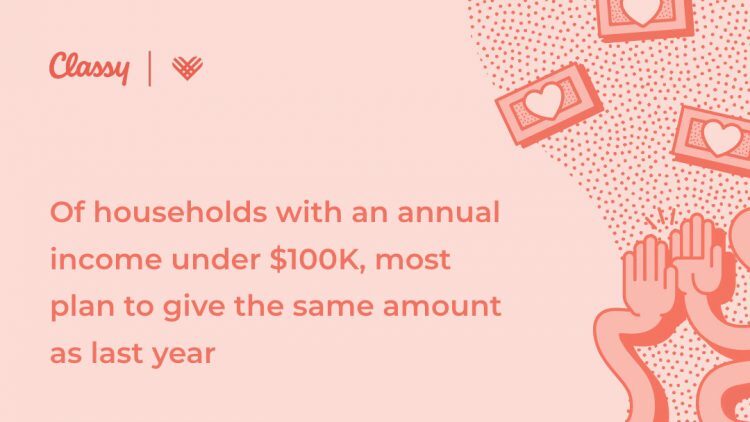 Parts one and two both came together in our newly created, special report, Why America Gives: How Current Events, Technology, and Seasonality Impact Donor Plans. 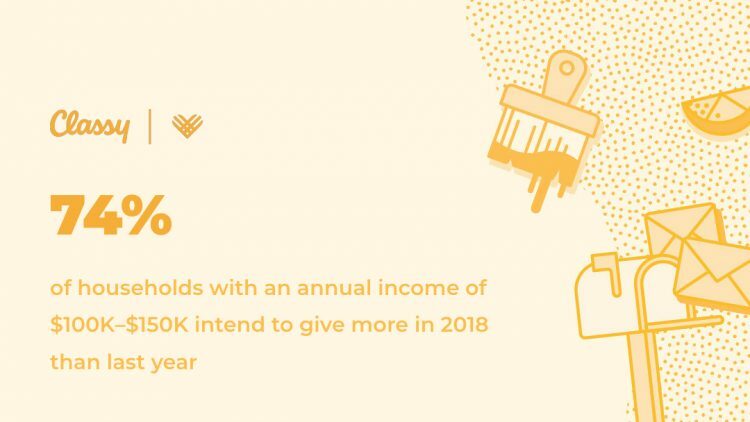 Download the report below, and then check out the following key points focused on four year-end giving insights. The “election-effect” won’t impact year-end giving the way that many thought it would. 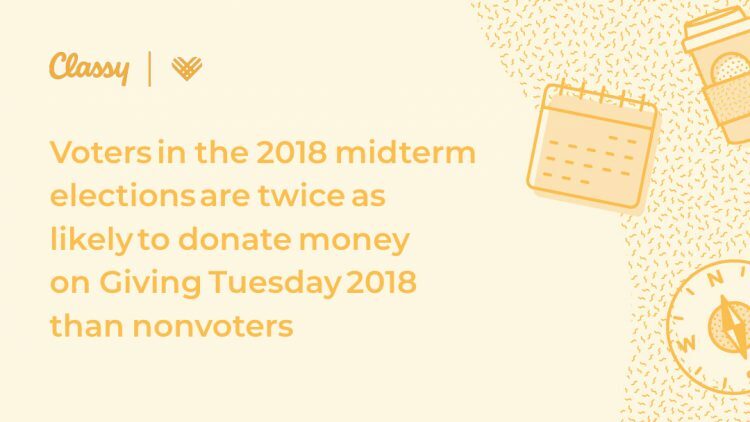 Only one-third of consumers surveyed said the outcome of the 2018 midterm elections would affect their plans to donate on Giving Tuesday or throughout the giving season. However, Republicans are more likely than Democrats to change their giving plans based on the recent election. 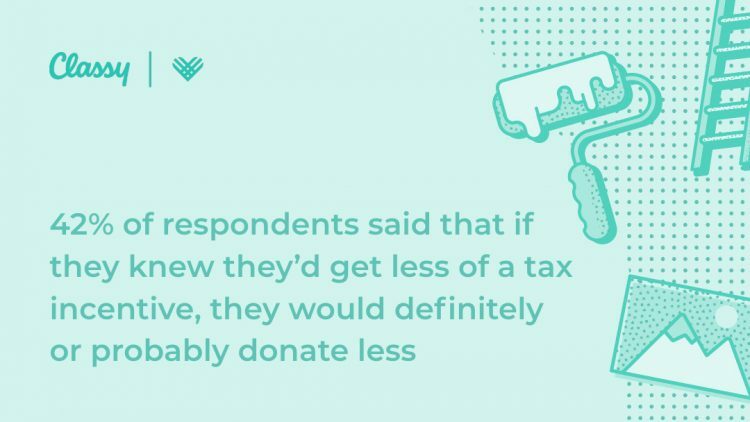 Among Republicans, 44% say the results from the midterms impact their giving plans, while 32% of Democrats say the same. 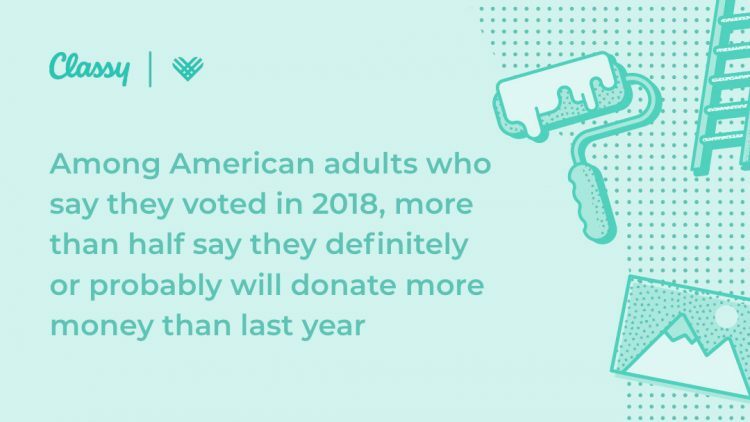 Another interesting learning is that it may not be if someone leans right or left that indicates if a person will donate, but rather if they voted at all. 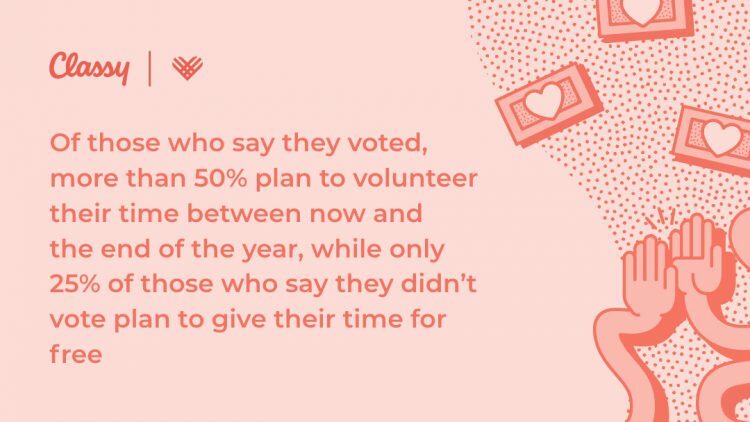 Our results show a direct correlation between those who voted in the midterm elections and those who plan on donating their time or money this holiday season. The world was struck with tragedies with natural disasters in the months leading up to Giving Tuesday. In the span of three months, the world saw Super Typhoon Mangkhut, Hurricanes Florence and Michael, The Indonesia Earthquake And Tsunami, three devastating California wildfires, The Tree of Life Synagogue Shooting, and escalation of U.S. immigration issues. These disasters left death and destruction in their wake, but Americans are ready to lend support. 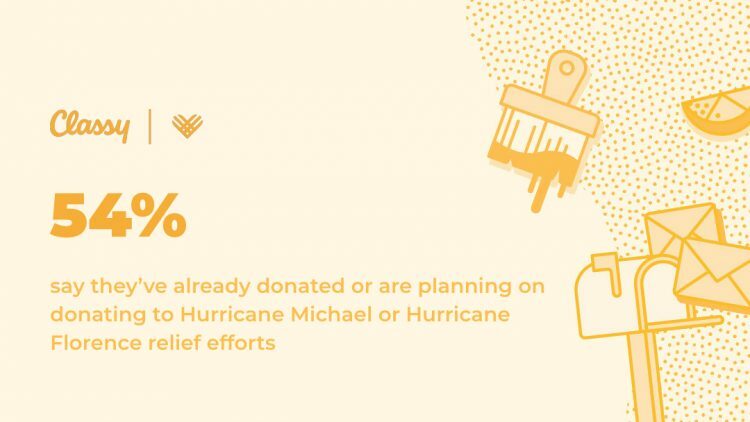 The second survey results show that the top three efforts Americans are most likely to support or donate to this giving season are disaster relief efforts (40%), health-related causes (39%), and environment and/or animal causes (37%). 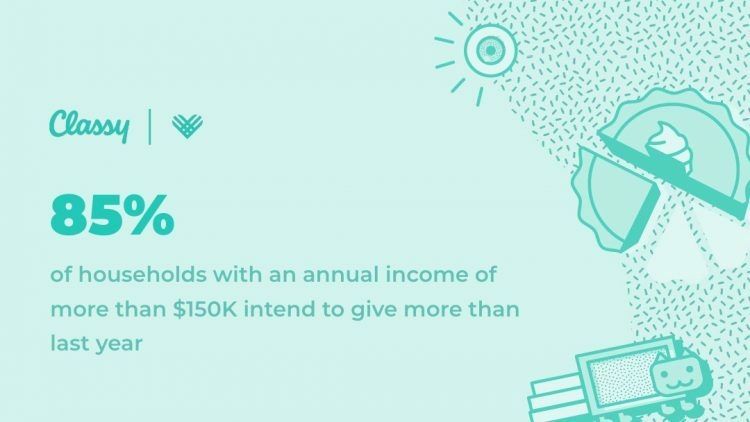 Giving Tuesday 2018 brought in a collective 380 million dollars from over 3.6 million total gifts. 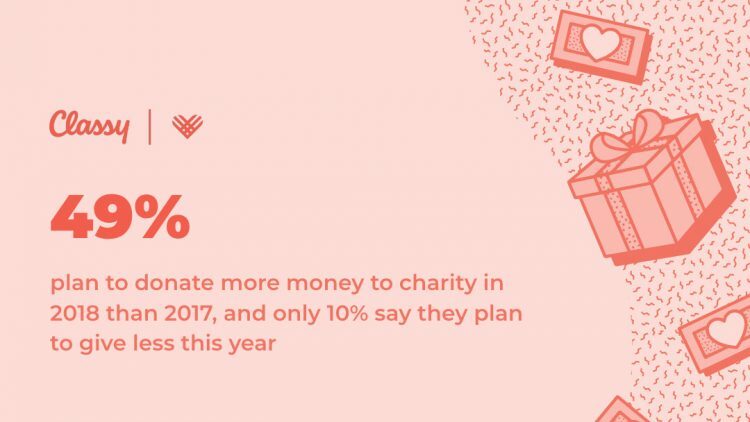 Donations on the Classy platform totaled over $15 million for a nearly 50% increase over 2017. 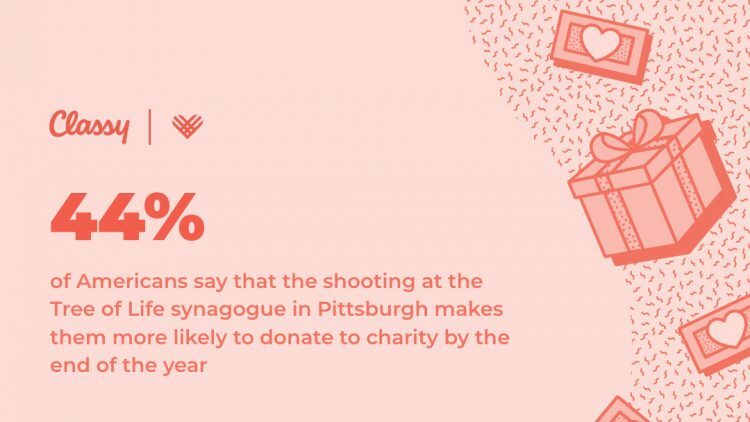 We’re keeping the momentum going for year-end giving, but we also want to take a moment to acknowledge the incredible work of nonprofits, the generosity of donors, and to celebrate the countless lives that will be impacted. Thank you for your participation and dedication to social good.